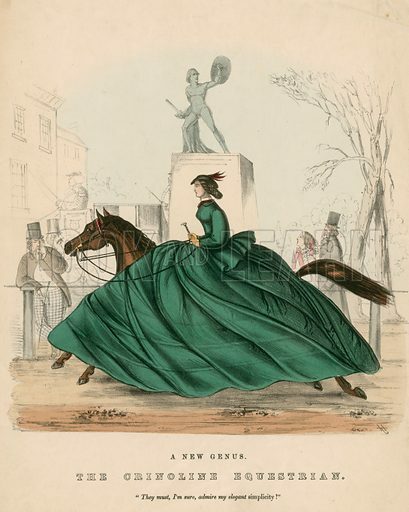 A new genus: The Crinoline Equestrian: "They must, I'm sure, admire my elegant simplicity! "; published 20 January 1859. Available worldwide for immediate download up to 3,571 x 4,481 pixels.